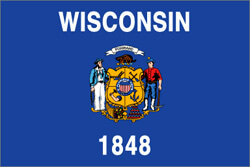 As part of public service measures and to ensure public safety, Wisconsin Department of Corrections, like DOCs of various other states, has publicized its records of offenders who have been incarcerated or sent for supervision, by the court, in any of the facilities of the Wisconsin Department of Corrections. Wisconsin Inmate Finder only provides public record information about the offender, which is regularly updated. However, there might be some inaccuracies due to the possibility of quick changes in the information. In addition to this, the online database only includes details regarding the offenders present in a facility of the Wisconsin Department of Corrections and does not have the data regarding inmates in county jails, federal prisons or about adjudicated juvenile offenders. What can you know about an Inmate through Wisconsin Inmate Finder?